One was born with a point of daring, of mystery. It is a place of irregular plant of exclusive design. The bar is the structuring element, drawing the perimeter of the plant. With semicircular front, emerging from the ground with the same polished cement and a block of translucent white Corian that will give a different lighting according to the time of day. To contribute to this ambient lighting, in the centre of the bar we find a lamp made of anodized aluminium chain and LED lights. Other elements of the same characteristics, but of different forms and proportions, are distributed throughout the premises. 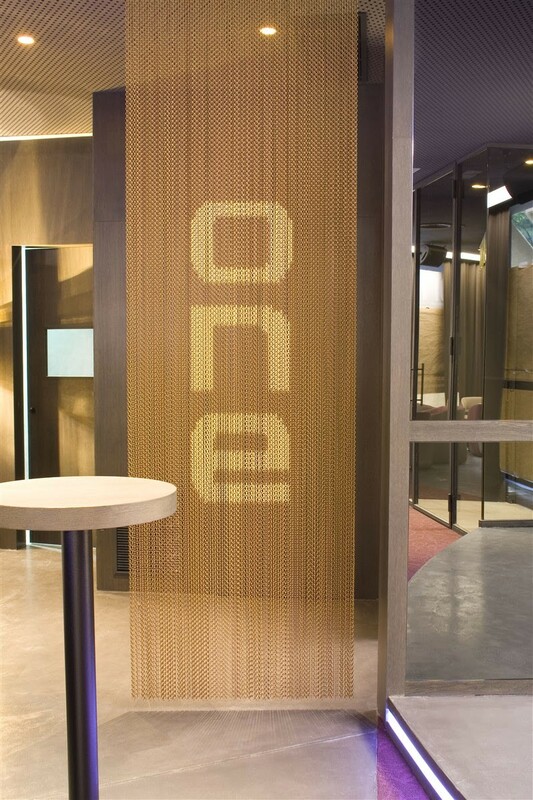 The mobile panels separating the bar from the restaurant were made with the same Kriskadecor material. As for the rest, glass, leather, stained oak and iron. 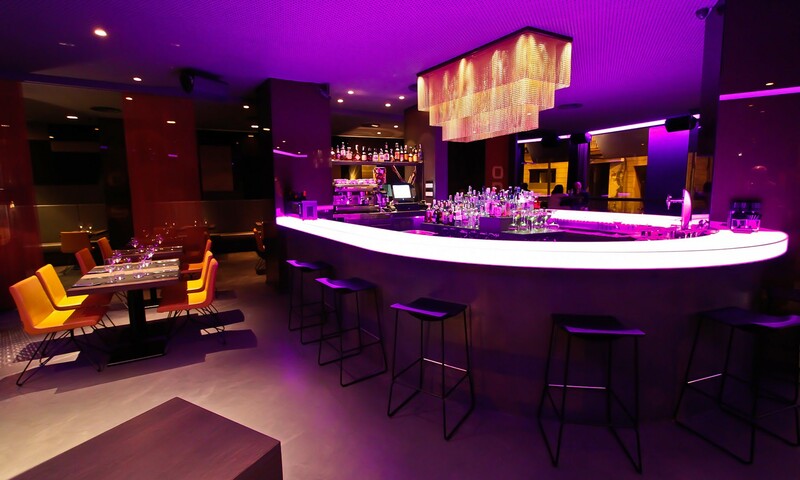 Fusion of materials, polyvalent environment, gastronomy and leisure to recreate the senses.